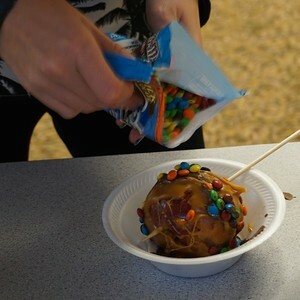 Students had lots of choices to decorate their apples. 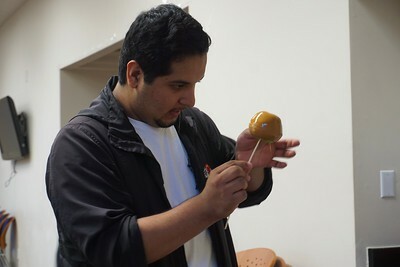 Caramel wanted to drip off the apples, so students were strategic in dipping them. 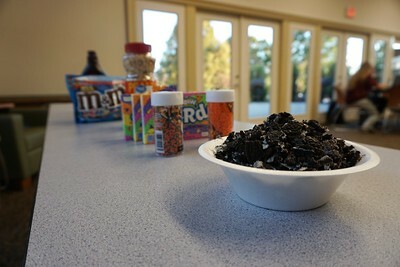 Students stand in line on Halloween, excited for a sweet treat. 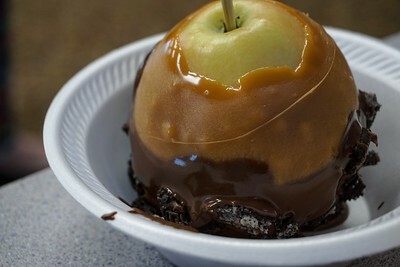 Jen Guberman decorates her apple with her favorite candy. 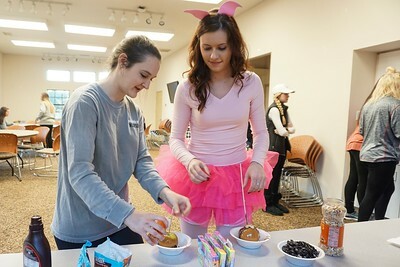 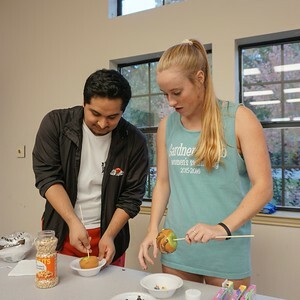 Hope Johnston and Megan McDaniel add delicious toppings to their apples. 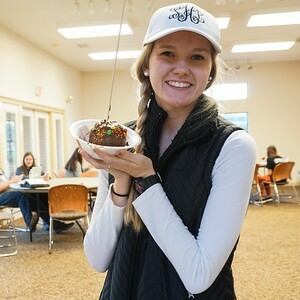 Sydney Head poses with her chocolate-covered apple with sprinkles and miniature M&Ms. 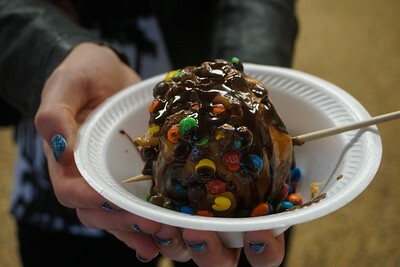 A student displays her chocolate-drizzled masterpiece. 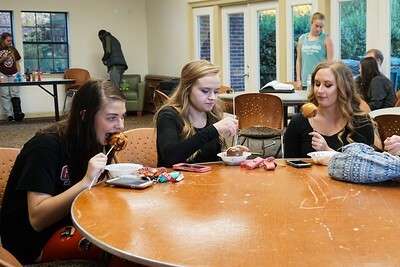 Haley Lingle, Bonnie Belcher, and Taylor Auton enjoy their apples together.